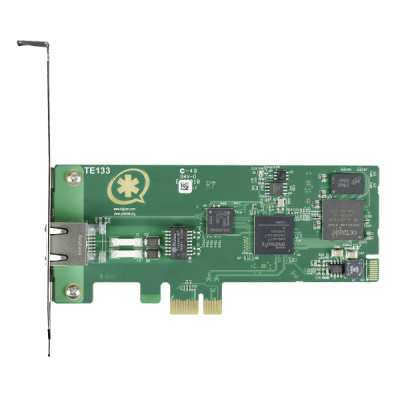 The Digium TE133F PCI Express card supports T1, E1 and PRI environments. Migrate an existing analog system to VoIP with the TE133F card, featuring a single RJ48 port. A built-in echo cancellation unit boosts voice and audio quality, and also removes this task from other network resources. 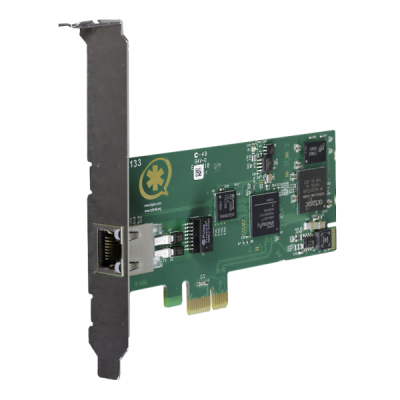 This Digium card is compatible with Asterisk and is designed for offices, call centers or in any workplace that needs to leverage an analog system.